Neil is a Director of DSQ Pty Ltd, with significant experience in cadastral, geodetic, engineering and hydrographic surveying. Neil graduated from QUT in 1991 having completed a Bachelor of Applied Science in Surveying and a Graduate Diploma in Surveying Practice. He was registered with the Surveyors Board of Queensland in 1991 and gained registration as a Consulting Surveyor in 1993. Neil was a member of the former Institution of Surveyors Australia from 1991, and has been a member of the Surveying & Spatial Sciences Institute since 2009 when it replaced the Institute as the peak professional body. 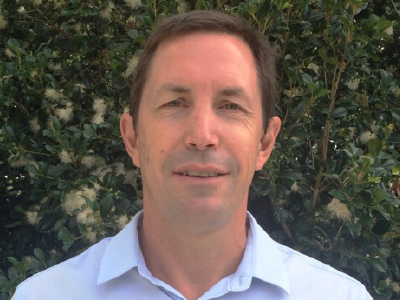 Neil worked for several private practice Surveying firms in Brisbane, the Sunshine Coast and Yeppoon until 1997, when he began consulting to pipeline construction companies. Over the last two decades, Neil has been a business owner on the Sunshine Coast in Queensland and has overseen various large scale projects in the energy sector throughout Australia. He has also completed an array of infrastructure and residential land development projects in South East Queensland. In recent years, Neil has gained accreditation as an Engineering Surveying Professional – Australasia Pacific in 2012 and was registered with the Surveyors Board of Northern Territory in 2016. Neil is the Director responsible for DSQ’s Environmental Management System, and maintains a close involvement in pipeline and energy sector projects for DSQ.